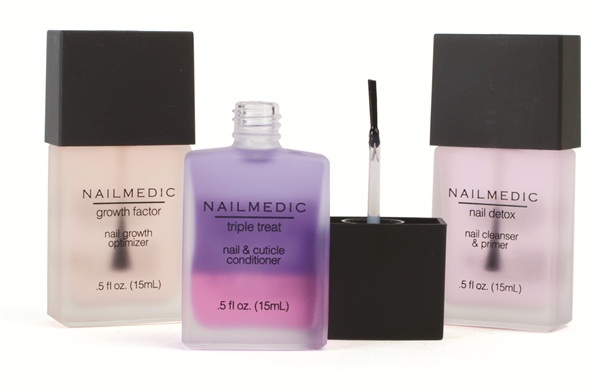 Nail Medic is a three-phase anti-aging nail treatment system. The first phase cleanses the nails and cuticles, the second repairs and fortifies, while the third primes and protects. For more information, visit Nail Medic.